Now our Autumn Season is over we are heading to the Czech Republic – taking our production of From the House of the Dead to appear at the Janáček festival in Brno. The full production is going over, complete with live buzzard and the same cast as when it formed part of our Russia 17 Season last year (almost – there is a change of cast for the Small Convict, plus two of the roles played by our Chorus members have changed too). Janáček Brno 2018 opened on 17 November and runs right through to 5 December and we are performing on Sunday 2 December, in Brno Exhibition Centre Pavilion P.
Janáček’s full repertoire is being performed by both Czech and international companies, including us – 28 productions over the 19 days! The Exhibition Centre, where we are performing, is culturally significant as it opened in 1928, ten years after the formation of the republic with an Exhibition of Contemporary Culture to celebrate that anniversary. This year’s festival also includes a performance of Smetana’s Libuše, an opera that has always been performed on ‘particularly memorable days’, as requested by the composer, since its premiere at the opening of Prague National Theatre in 1881. WNO’s award-winning partnership of Artistic Director David Pountney (well known internationally for his interest in and interpretations of Janáček’s operas) and Music Director Tomáš Hanus have been invited to take our 1982 production of Janáček’s From the House of the Dead to Brno, in a sense a ‘coming home’. Brno is Tomáš (and Janáček’s) home town and Tomáš studied to become a conductor there, with renowned Czech conductor Jiří Bělohlávek at the Janáček Academy of Music and Performing Arts; later becoming Music Director of the National Theatre Brno from 2007/2008 to 2009. He has also recorded with the State Philharmonic Orchestra Brno and the Prague Philharmonia – an orchestra he had a role in the setting up of back in 1993. 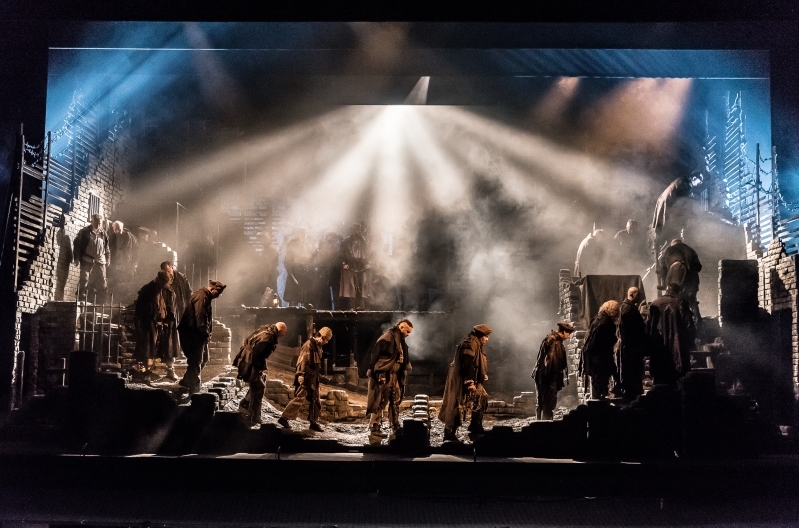 This long association makes this appearance all the more significant and one that is being much heralded by the festival’s organisers – a fabulous testament to WNO’s standing in the wider operatic world.